One thing that often gives people confusion is the difference between a Megabyte (MB) and a Megabit (Mb). People often assume that a download speed of 1 Megabit per second (1 Mbps) will allow them to download a 1 Megabyte (MBps) file in one second. This is not the case. Internet speed is measured in bits: bits, kilobits, megabits. File size is measured in bytes: bytes, kilobytes, megabytes. One byte is eight bits, so a kilobyte is eight times as large as a kilobit. If you want to figure out how fast a file will download, just multiply the file size in MegaBytes by eight to get Megabits. Then divide the file size in Megabits by your speed. 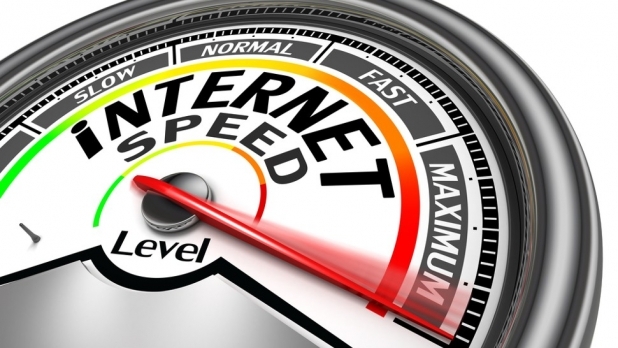 Internet speed, the number they give you (4 Mbps, for example), has nothing to do with how fast your internet works. It’s not like a car or motorcycle where you can measure how fast it goes in miles per hour (mph). Instead, internet speed is your (allocated) bandwidth. Bandwidth is the amount of data that can be sent to you, usually measured in seconds. For example, 4 Mbps would mean that you can receive up to 4 megabits of data per second. Internet upload and download speeds are measured in megabits per seconds, which means that to download a 1MB file in 1 second you would need a connection of 8 Mbps. Usually, megabits per second (mbps) are generally used to describe the speed of an Internet connection, whereas megabytes (MB) usually refer to the size of a file or storage space. One byte is made up of 8 bits, which means that you need to pay extra close attention to which unit you’re using, which is especially confusing. So, it should be noted that you need to convert between Megabytes and Megabits if you are looking into how long a file will be downloaded. For example: If you have an internet connection with a consistent 1 megabit per second speed, it will only be able to download a 1/8 Megabytes every second. So if you are downloading a 10 Megabyte file through the said connection, it would take 80 seconds to the download that file and not just 10. It is just a matter of multiplying or dividing by 8. There’s a difference between megabits per second and megabytes. You’re downloading at 5 Mb/s, and you’re trying to download a 5 MB file. 1,024 bits is a kilobit. 1,024 kilobits is a megabit = 1,048,576 bits. 5 megabits = 5,242,880 bits. A byte is 8 bits. 5,242,880 bits = 655,360 bytes. 655,360 bytes = 640 kilobytes. 640 kilobytes = 0.625 Megabytes. 5/8ths of a megabyte. You’re downloading at 5/8ths of a megabyte a second. 5 divided by 5/8ths equals 8. It should theoretically take 8 seconds to download a 5MB file. JetSpot is a new choice and its here to connect you to everything that matters the most. Its an experience. We are just a call or WhatsApp away!